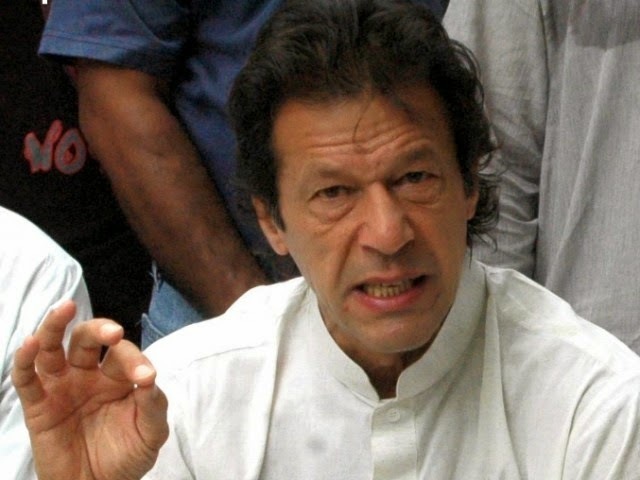 Chairman of PTI and the main opposition figure in Pakistan, Imran Khan, has demanded a complete audit of 2013 general elections. Previously, he was demanding audit of votes in four national assembly constituencies only. Imran Khan has cited the example of Afghanistan while making the demand of full-fledged election audit. Last general elections have been controversial from the outset. The ongoing developments have marred 2013 elections as second most rigged elections in history of Pakistan. Reports of Free and Fair Election Network (FAFEN), discovery of stamped ballot papers in dust bins across the country, suspicious dismissal of NADRA chairman and the thumb verification in few constituencies have made 2013 elections controversial. The rigging in 2013 elections can’t be ignored just because Imran Khan mishandled the issue during last one year. Complains of election rigging were heard from all four provinces in last elections. In Punjab PTI and PML-Q complained of rigging, In Sindh every party other than PPP and MQM complained, in Khyber Pakhtunkhaw JUI-F and ANP believe that elections were rigged and in Balochistan only three ruling parties deny the rigging rest complain about it. It is interesting to mention that arguably Balochistan was the biggest victim of election riggings in 2013 elections. Thumb Verification in PB-41 Awaran District showed that only 25 genuine votes were polled in entire district. Yet election tribunal declared the election valid. Beneficiaries of the last general election say that every loser complains about rigging. This is an unfair argument to say the least. When elections were conducted by British raj in 1937 and 1945-46 in India, none complained about election rigging. Similarly, no party complained about election rigging in 1970 general elections, which are considered most fair and free general elections is history of Pakistan. So, complains of rigging are only made when rigging has taken place. In fact, the number of complains is directly proportional to the level of rigging in an election. Never in history of Pakistan, had government have to face the issue of election rigging after being in office for over a Year. The government will remain controversial and will not be able to deliver if this issue is not resolved as soon as possible. Restoration of legitimacy of last election can only be done by verifying the votes in entire country. That will strengthen the democratic process in the country. If the issue of election rigging is unresolved then, whether someone likes it or not, it will jeopardize the democratic system in future. PML-N government has unsuccessfully tried to play a master stroke by taking the position that verification of votes comes under the ambit of election commission and not government. On the face of it, this is true but extraordinary situations require extraordinary measures. The case of Afghanistan is before us where all the votes will be audited to resolve disputes on authenticity of elections. Election commission in Afghanistan is also independent like that of Pakistan. In Pakistan prime minister can dissolve the assembly, call elections anytime he wants and it will not be a big issue if Prime Minister asks election commission to audit votes. It’s doable and government can’t play the card of helplessness in this matter for very long. Former President Asif Zardari has also supported verification of votes in four constituencies as demanded by Imran Khan previously, This is an alarming news for ruling PML-N party as they can’t afford the opposition of PPP on this matter. Pakistan has suffered a lot at the hands of dictators and the current democratic system, regardless of its demerits, is not less than a heavenly blessing. However, this is under serious threats of disruption if the issue of election riggings is not resolved. Those who have won elections fair and square need not to worry at all about the election audit. The government should allow the audit of entire general election in the best interest of democracy as well as the country.